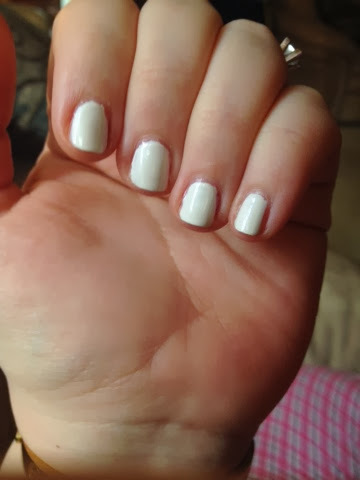 I am on day 5 of my manicure (Orly Dayglow), and while it's starting to show some wear and tear, it still looks pretty good. I used Revlon Gel Base Coat and Out The Door Top Coat. Totally loving this chic white polish that is on trend for spring. Ciao!